Alright, so we already know that Valentine’s Day is a huge day to get engaged, and Shane Co. has got every guy or girl popping the question covered - when it comes to romantic, vintage-inspired engagement rings (seriously, they are all kinds of gorgeous). But, what about for those who are already engaged and counting down the days until their wedding or who just want to indulge in the day of love with something that just makes their hearts skip a beat? Easy. They can still appreciate something super sweet wrapped around their finger(s), so Shane Co. gave us a few ideas and lots of inspiration on wedding bands that would be great buys for Vday. 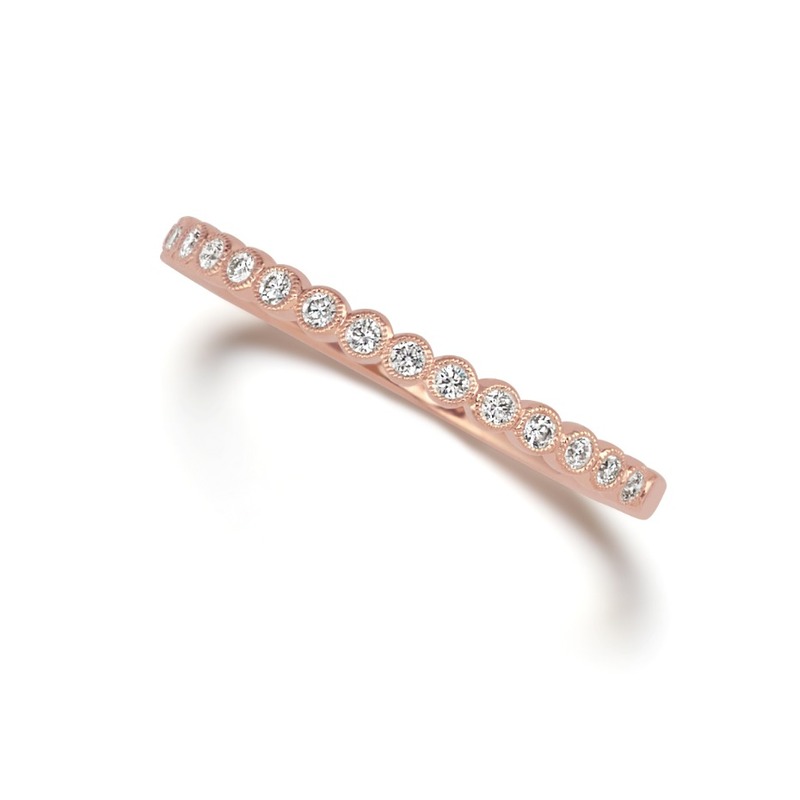 Don’t get caught up on the categorization of ‘wedding’ bands, either; many of these beauties are just as easily pegged fine jewelry with delicate details. So, you don’t have to be getting married to be able to rock them. You just need fabulous taste and a little extra spending money - but who are we kidding, you are SO worth it. Be your own Valentine this year 🎵 ❤️ music to our ears. We loveee this because Galentine’s Day is just as important as traditional Valentine’s Day. And the Shane Co. bands have just the right amount of sparkle to make your girls-only fete unforgettable. So, if your bestie prefers anything with a pavé diamond and you have 😍 😍 😍 for all-things blushing rose gold, you might have the perfect situation for a BFF special occasion swap. They’re just like friendship bracelets, only smaller and a bit pricier than they used to be. Whether you’re so single or currently coupled-up, any woman can get down with a little self-love every once in a while - especially for Valentine’s Day. Do you find yourself double tapping pretty ring pics all day long, or are you looking for that perfect vintage band to add to your finger party #stacksondeck, whatever the circumstance - treat yourself, it’d be a shame to let Valentine’s Day go to waste! Do you love unique jewelry with delicate details? 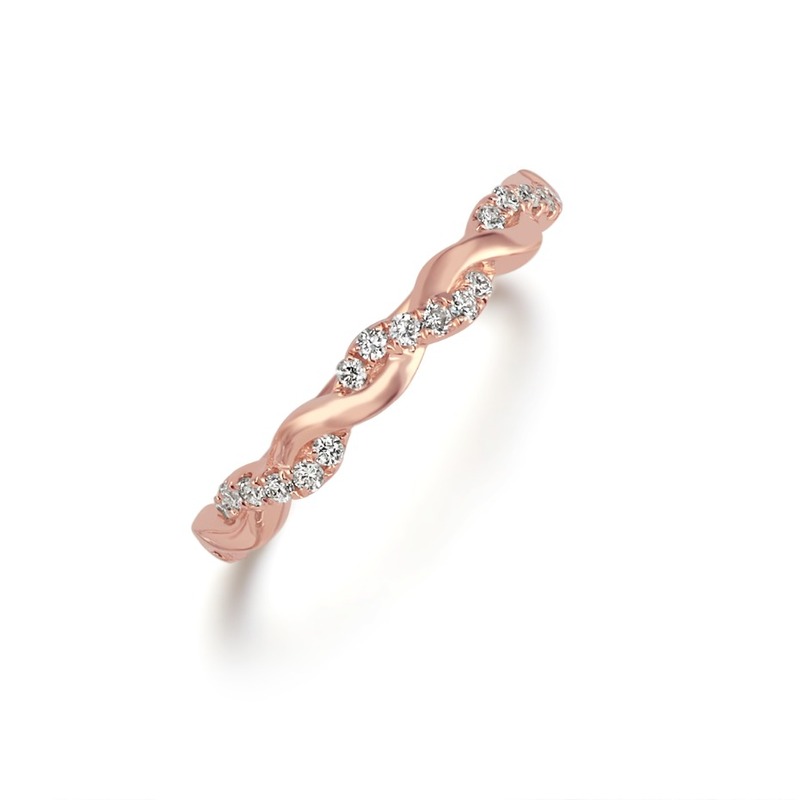 Or maybe you’re looking to complement a simple engagement ring with an intricate band. A vintage wedding band may be just what you’re looking for. 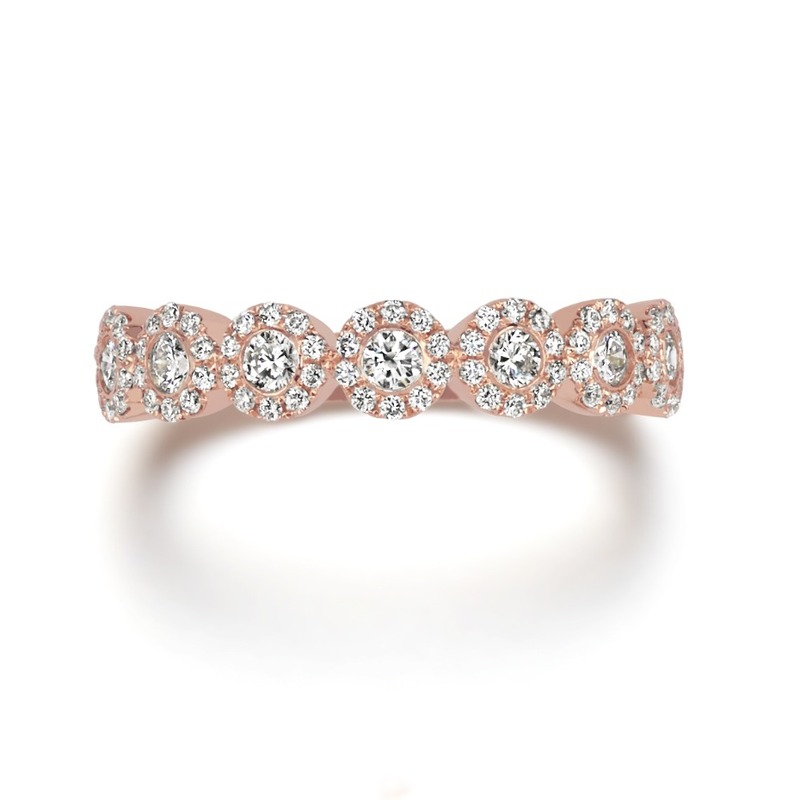 A round diamond band in 14k rose gold marries modern with timeless for that perfect vintage sparkle. 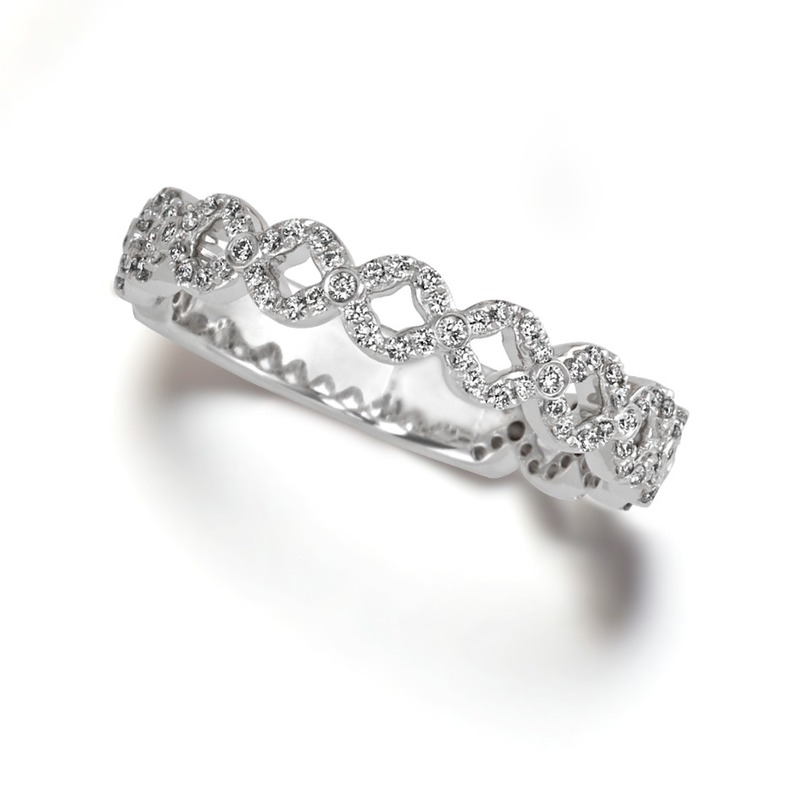 For a lovely, unique look with ample sparkle and beautiful detailing, consider a two-tone diamond vintage band. Or a diamond band with small halo designs. Pavé wedding bands are a lovely choice because they offer stunning sparkle and can be paired with almost any engagement ring. If you love classic styles but are looking for a sophisticated twist, a pavé diamond infinity band adds a gorgeous and dainty touch. 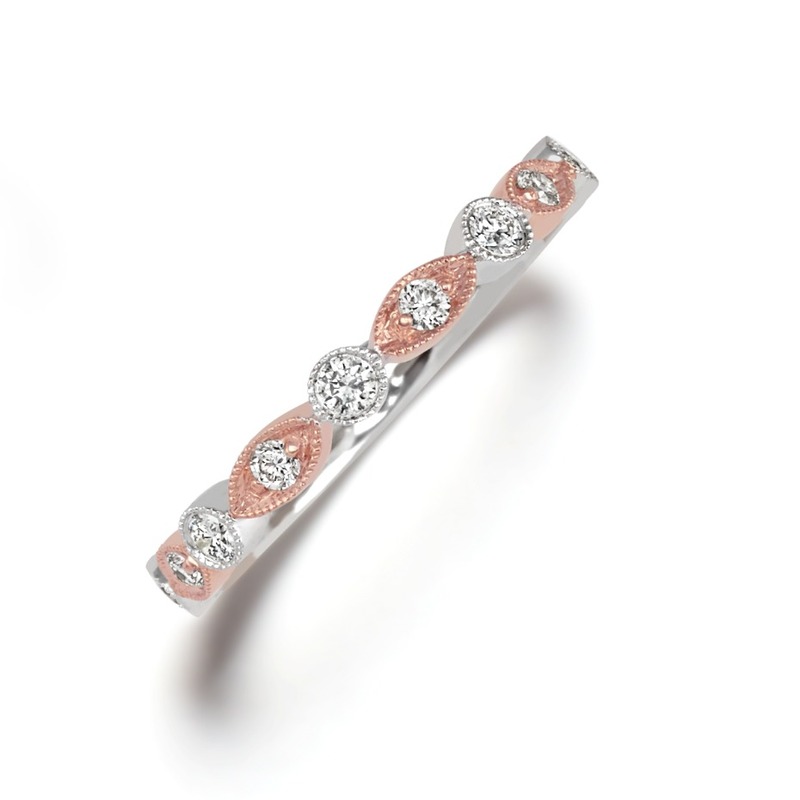 For more eye-catching sparkle, a pavé diamond swirl band in white gold may just right. If your style falls on the romantic side, a heart-shaped diamond wedding band may complement your dream ring perfectly. 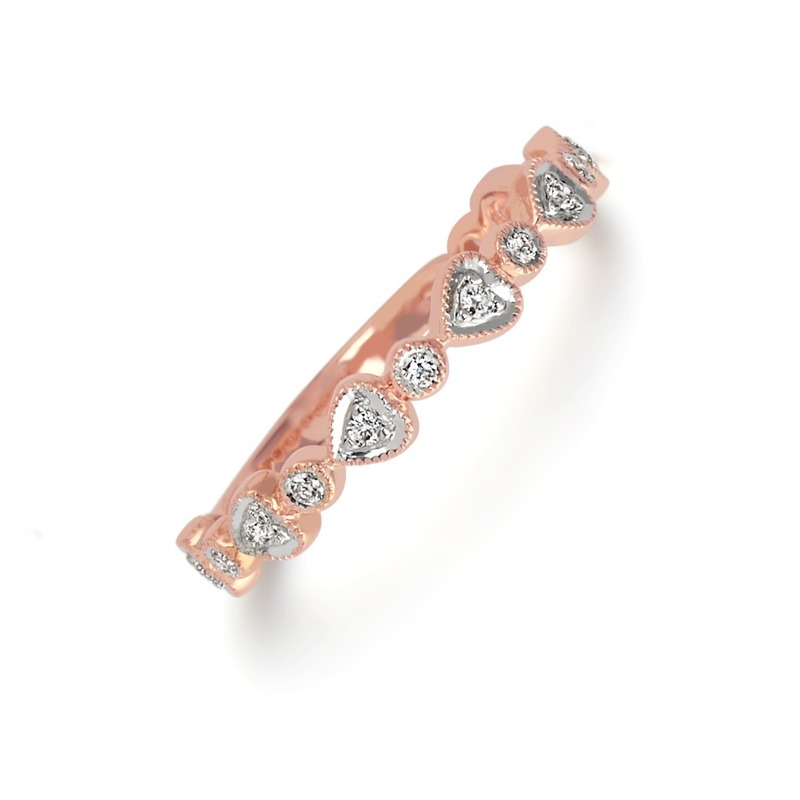 If you love blushing rose gold and timeless white gold, a charming two-toned diamond heart shaped band is a lovely choice. 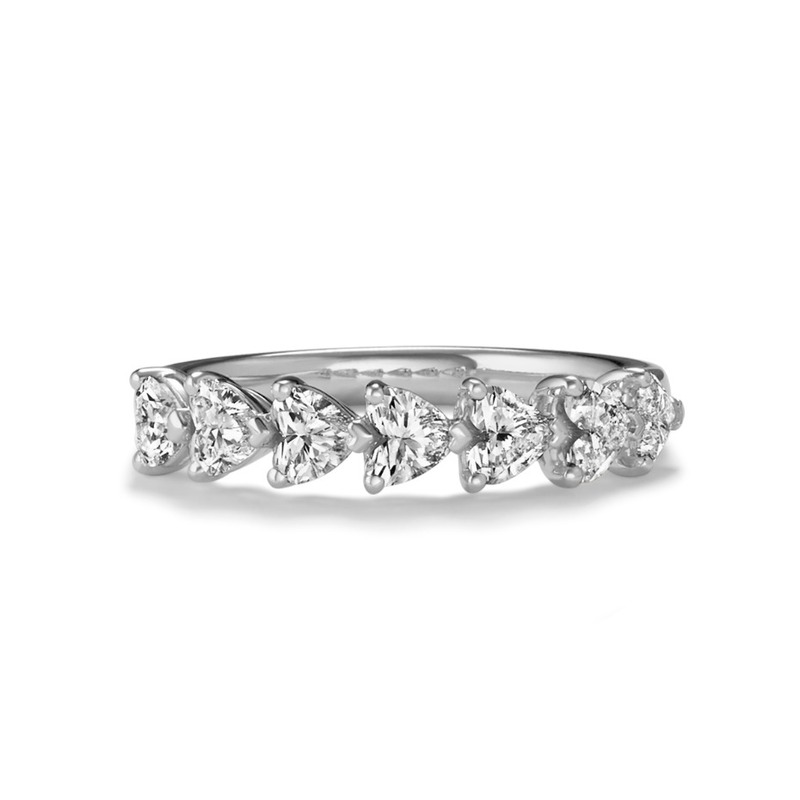 For a classic look with a romantic touch, consider a sparkling heart-shaped diamond band in white gold.